Marketing Agencies are complex. Different types of agencies require different types of tools. However, there are 3 software tools that should be used by every agency, regardless of size. One thing I’ve noticed about many of the popular task managers is that they will have “Boards”, but they are usually bound to projects. The problem with this approach is that agency teams often work on multiple projects at the same time. Users shouldn’t have to navigate to 5 different project boards to see all of those tasks. Ideally, they would have one board with everything they are working on. Additionally, it’s common to have multiple teams working on the same project, each with their own unique workflows. Boards (Kanban or Scrum) should not live inside of projects. Task managers such as Asana won’t help you out much here and will likely make it more difficult to see the big picture. 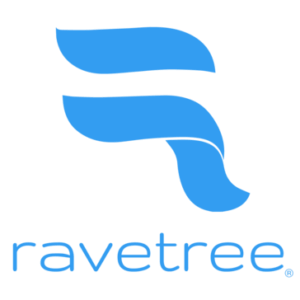 Ravetree (www.ravetree.com) is a work management software platform for project-driven organizations. Ravetree is a sponsor of Triangle Marketing Club. Ravetree provides its project management software suite to TMC (which includes project management, resource planning, time tracking, and a full CRM) so that we can teach the interns how to be more productive in an agency setting. Ravetree is offering TMC members a special 10% discount on its Sass platform. When you reach out to inquire, mention that you are a TMC member to receive the discount. Davidson Wicker (https://www.linkedin.com/in/davidsonwicker/) is the Founder & CEO of Ravetree. Prior to starting Ravetree, Davidson worked as a software engineer where he built enterprise applications for Fortune 500 companies. He has spoken several times on the topic of “Agile Beyond Software,” and is a strong advocate for the adoption of Agile principles in digital agencies and elsewhere. Davidson holds a Masters Degree in Applied Physics and is a former college physics instructor.